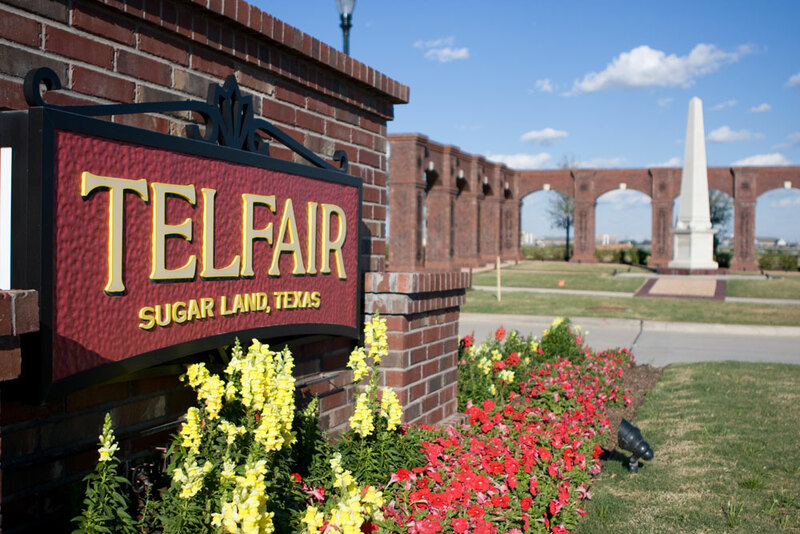 As a master-planned community, Sugar Land has created several unique development areas that suit a wide variety of business needs and appropriately position our businesses to maximize their potential. Our city boasts 7.9 million square feet of office space, 8.9 million square feet of industrial space and 8 million square feet of retail. From its urban business center to industrial parks and the redevelopment district, Sugar Land has a place for every type of business location need. Our strong community identity and character are an excellent place to start or relocate your business. We have all of the amenities that you need to retain and reward your employees. Our community has high levels of design standards and building requirements that sets a high standard for development character. Our high standards create a heightened level of community aesthetics and positive benefits for your business, your employees and their families. For example, there are more than 900 choices for restaurants, shopping and entertainment facilities in Sugar Land. Our community amenities are a strong asset to your business. The City of Sugar Land, Texas General Land Office, Johnson Development and Cherokee Investments are partnering to develop 686 acres of property on the site of the former Imperial Sugar Refinery and adjoining undeveloped land tract. This site will be the location of a minor league baseball stadium, a commerce park, mixed-use residential/retail, commercial retail, and traditional neighborhood development. This master planned site is currently in Phase I of infrastructure construction. The baseball stadium—Constellation Field—began its inaugural season in April 2012. Located along the U.S. Highway 59 corridor and Univer sity Boulevard, Telfair includes 2,018 acres for a wide variety of uses including commercial office, retail space, mixed use, education, civic/community buildings, open space and neighborhood parks. The development centers on a 300-acre mixed-use development anchored by the University of Houston – Sugar Land Campus and other future public and private uses. Telfair is also home to the Houston Museum of Natural Science ­– Sugar Land Campus and is the future home of the new 50-acre office site for Fluor Enterprises, Inc. The development will also feature the new performing arts/concert venue. In the geographic center of the city, this 32-acre mixed-used, award winning development is a public-private project between the City of Sugar Land and Planned Community Developers. Sugar Land Town Square is a downtown urban environment anchored by Minute Maid’s corporate headquarters and several other Class A office users. Sugar Land Town Square is a 32-acre mixed-use development with 1.4 million square feet of mixed-uses that includes a 300-room full-service Marriott hotel and Sugar Land conference center, the 82,000 square-foot Sugar Land City Hall, 167 mid-rise residential condos, 566,000 square feet of office space, 252,000 square feet of Main Street retail and restaurants and a 1.4-acre pedestrian plaza. With 1,000 acres of industrial land, this business park includes a wide variety of office, manufacturing, R&D and distribution center space. Located along U.S. 90 with excellent access to U.S. Highway 59, the location of this park is excellent for service to the Houston regional market. The park is zoned for most light industrial uses, and includes deed restrictions to maintain high standards for property values. The park includes approximately 8.2 million square feet of industrial, flex and office space. Sugar Land Regional Airport is the destination of choice for the business traveler to the Houston area. It is the fourth largest airport in the greater Houston area and the foremost general reliever airport in the southwest sector. The airport’s proximity to the Houston/Gulf Coast region, as well as on-site U.S. Customs service, minimizes “chair to air” travel time for busy regional and international corporate executives alike. More than 100 Fortune 500 companies utilize the airport annually. The airport's Fixed Base Operation (FBO) is Global Select. Global Select is ranked as one of the top FBOs in the Americas. Airport Users rated FBOs in four key categories: line service; passenger amenities; pilot amenities and services; and facilities. Amenities at the airport include: a 20,000-square-foot “ranch-style” corporate aviation terminal, a state-of-the-art air traffic control tower and radar system; a reinforced, concrete runway with high-intensity lighting measuring 100 feet wide by 8,000 feet in length, accommodating the largest of the corporate-type business jets; and an instrument landing system. or 1-866 I FLY SGR (1-866-435-9747). Lake Pointe Town Center is a 190-acre, urban-style village that is located at the intersection of Highway 6 and U.S. 59, anchored by the existing 1.2 million-square-foot headquarters of Fluor Corporation and Houston’s first suburban Whole Foods Market. Lake Pointe Town Center includes more than 1 million square feet of office and medical space, 140 town homes and brownstones, 150 patio homes, 100 mid-rise condos and 360,000 square feet of retail space. Lake Pointe Town Center also features significant water frontage, including the 37-acre Brooks Lake and 1.5 miles of frontage on Oyster Creek. The development enjoys a significant medical presence with St. Luke’s Sugar Land Hospital, M.D. Anderson Cancer Center, and Methodist Orthopaedic Specialists of Texas.